Today is National Tea Day and Starbucks has a great sale! 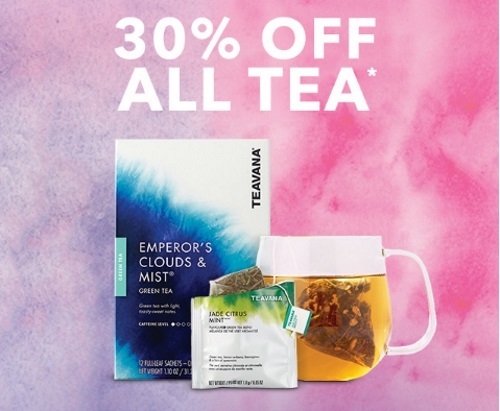 Save 30% off all tea! This applies to tea k-cups, iced tea pitcher packs, tea latte concentrate, filter bags and more. Prices are as marked online. Offer is valid online only. No promo code is needed. Offer ends June 12 at 11:59pm PST. If you sign up for their newsletter you can get a promo code for an extra 10% off.